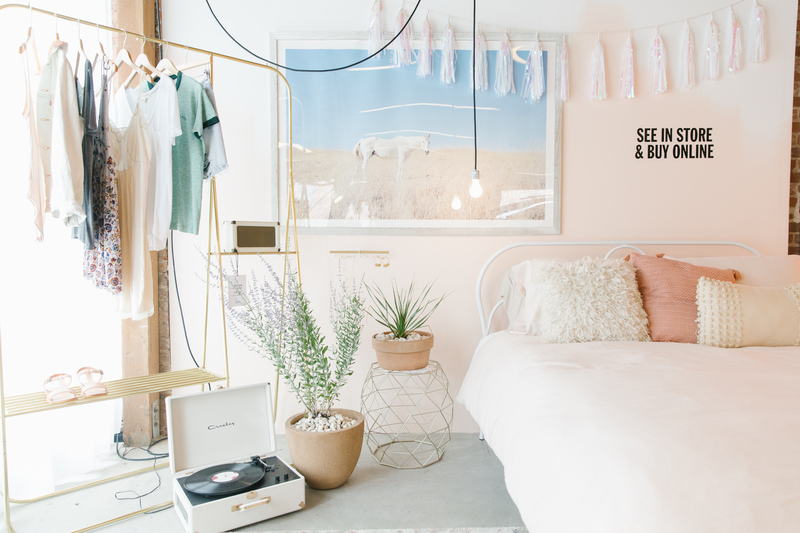 Launched in April, Urban Outfitters spring and summer 2016 home collection features a fresh take on contemporary furniture and home goods. Reflecting their customer’s desire to mix styles and create spaces that are uniquely their own, the assortment was designed by the brand’s internal design team as well as an accomplished roster of guest artists and design studios including Max Wanger, Studio Mucci, Cocolia Studio, Baggu, Tessa Neustadt and Jamie Wolfond. 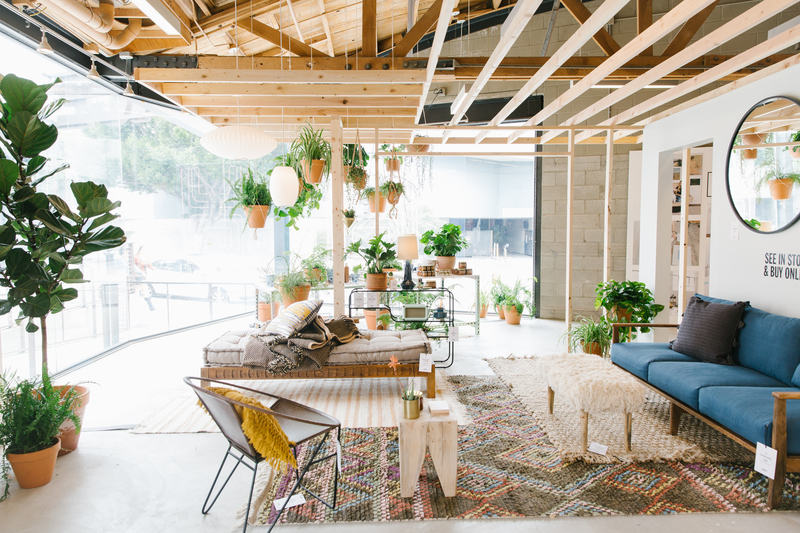 To allow customers to shop and explore the collection in person, Urban Outfitters opened their first home showroom inside Space 15 Twenty, their concept store in Los Angeles. Located on the east wing, the showroom will be on display through September and will showcase everything from bed frames, sheets, candles, prints, pillows and lighting. “You walk into the shop and automatically want to move in,” said Ebonee Walker, Events and Marketing Manager at Space 15 Twenty. 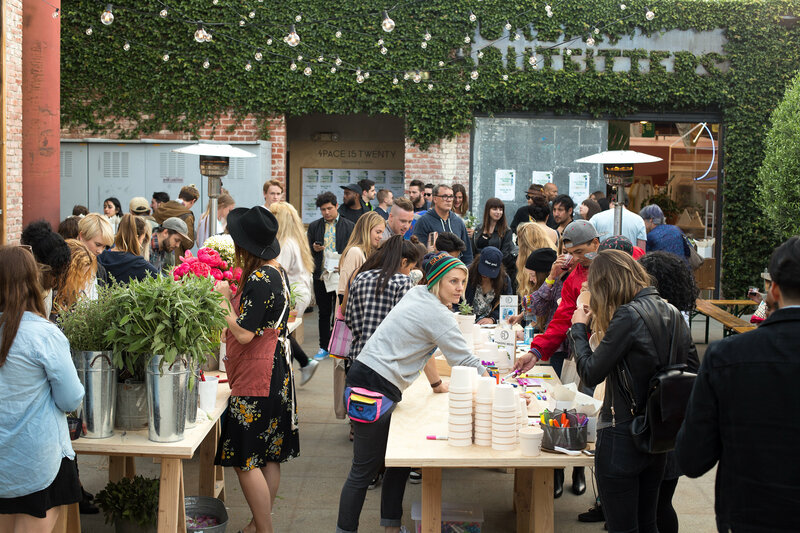 To celebrate, Space 15 Twenty hosted a party on Saturday, May 7 from 6-8:00 PM. Guests enjoyed complimentary drinks, food by Mainland and a live DJ set by Phantoms. Jess Weymouth, Flower Girls Los Angeles, Lark + Arrow and Makers Mess each had a DIY station where customers could create their own print, build their own floral bundle or make mini plant holders and painted pots. The showroom has been receiving positive feedback from both customers and media. On May 11, LA Racked referred to it as a “magical place”. Refinery29 and Yahoo also posted articles on their website. Shop the collection now here and stay tuned to their blog for behind-the-scenes articles about the designers.